On the one side, there were bellicose pleas for justice, unambiguous in their calls for vengeance and premised on clear moral lines: the free world vs. the psychos, the Allies vs. the Nazis. On the other, there were responses to the responses that attempted to widen the circle of analysis to the bombings in Beirut and the student killings in Kenya; non-western and non-white tragedies that were equally deserving of our attention. For reasons I can’t completely explain, the latter began to jar me like an itch I couldn’t scratch, festering throughout the day until I combusted. For Christ’s sake. Couldn’t we resist the urge, this one time, to contextualize, relativize and sanitize the hell out of everything? 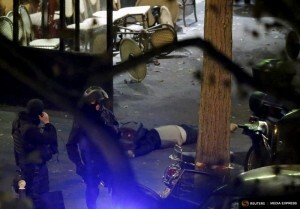 Couldn’t we, for a moment, focus on the singular event of Paris with some intellectual clarity; some level of certainty equal to the perversion of the killers? Or does a thoughtful response always have to be distanced and detached, processed and considered until the entire conversation becomes soulless and academic? Why couldn’t the attacks be classified as the product of Islamic fanaticism, if the killers were Islamic fanatics? How far are the tentacles of political correctness allowed to slither? It was a jumbled mess. Like an old TV set flickering between a clear black-and-white picture and a cloud of gray noise; clarity punctuated by complexity, resolve deflated by nuance. Both offered compelling yet incomplete renderings of a dire reality, but I couldn’t quite harmonize them. In the wake of this frustration, I thought back to a piece I started writing but never finished. A foray into the depths of ISIS that offered a disturbing reminder of the extreme evils our species could inflict, and the complex responses they provoked. Amidst the noise about Paris, it felt appropriate to revisit it. 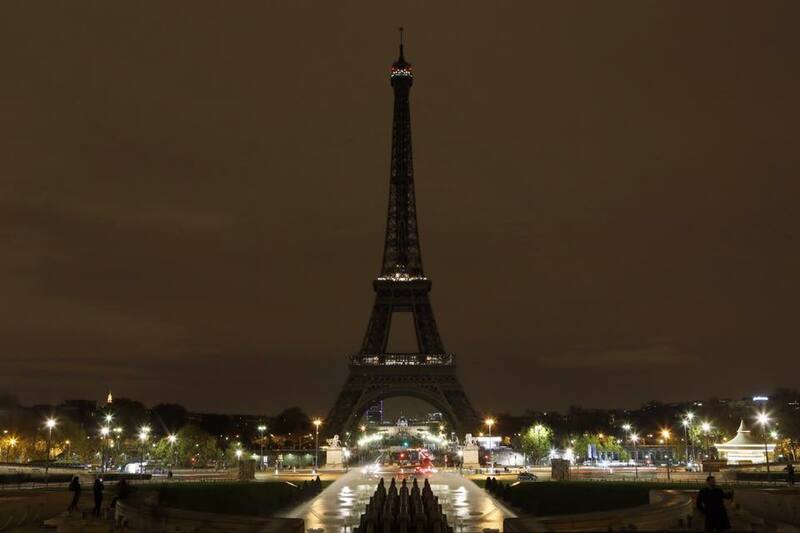 The Eiffel Tower in mourning on November 14, via Mayor of Paris Anne Hidalgo. We said to all the pilots, for the airstrikes against ISIS, we are only looking for volunteers. So anybody who wants to volunteer, please step forward. Every single pilot stepped forward. The interview freeze frames on the tired but resolved face of Abdullah II, and alongside him appears a photograph: men in military dress with perfect posture shaking hands with a smiling general. At the far left of the combat unit stands one of the soldiers, a dutiful and relaxed air about him. We know his fate, and he will feature later in the film. A predestined demise both frightful and grotesque. The video picks up momentum – ISIS understands cinematic pacing – as we shift to visuals of military combat: cruise missiles launching from battleships while fighter jets fly ominously overhead; guns, tanks, explosions, and warfare summarized in about ten seconds. This particular sequence has a stylized texture that diminishes its realism, as if extracted from a video game. Which is perhaps ISIS’s point: that mainstream depictions of war – the statistics, tactics, and pithy news summaries – are escapist abstractions, far removed from the blood-soaked realities of those they afflict. Next, Arabic hymning in the background accompanies clips of the Western political machine: Obama, King Abdullah and other global leaders, shaking hands, smiling, scheming, exchanging pleasantries in the Royal Palace and touring the battle field, encouraging the troops. Then a sequence of the military machine in preparatory hubris: soldiers on the ground and on battle ships, deliberating tactics, strapping on gear, and readying their weapons. And finally, we arrive to the centerpiece of the ‘first act’: pilots debriefing in pre-flight, followed by an F-16 aircraft on a runway, a zoom-in of its tail imprinted with the Jordanian flag. Switch to animation – actual video game artefacts now – as a graphical F-16 takes off from Jordan and approaches a city in silhouette. Seconds later, a theatrical explosion engulfs the screen as the F-16 breaks into several pieces of glass, which swirl around in fancy animation and rearrange themselves into an exquisite schematic of a building. And underneath the fabricated structure we see the words: Healing The Believer’s Chest. To Act II, about 10 minutes in length, which begins with interleaved news segments of an F-16 shot down in Syria, some reports in English, others in Arabic. Then a still photo of the plane’s debris, and a grinning and triumphant bearded man parading parts of a broken wing. Gradually, another man comes into focus, donning in the orange prisoner’s suit that will accompany him until death, his face bruised and swollen, but not excessively so. Belying the fright and anxiety flowing through his trembling lips, he enunciates into the camera in clear and purposeful Arabic. With somber focus he describes the specifics of his mission: where and when he departed from Jordan, the aircraft’s refueling procedure, and the region he was supposed to target (the Ar-Raqqah metropolis in Syria). At various points during his address ISIS invokes an extravagant visual effect, mutating his face from natural flesh into a digital exoskeleton of sorts, an eerie robotic construction not too dissimilar from Hollywood cyborgs like the Terminator. Among ISIS’s many innuendos and allusions, this one is quite obvious: the Western juggernaut is robotic and ruthless, not dissimilar from the mindless yes-men they manipulate. Moments later, this particular yes-man’s military personnel photo is displayed, his name and rank underneath: Moaz al-Kassasbeh, First Lietuenent [sic, even ISIS are apparently not immune to occasional misspellings]. The debrief continues, infused with supporting video clips and explanatory animation: a list of Western collation countries, their Arabic counterparts, and the manner in which they are colluding against the Islamic State (weaponry, aircraft, and logistical support). There is talk of aerial snipers, drones and satellite usage. And we arrive at denouement of Act II, a visual collage of the military assault on the Islamic State and its collateral damage. Clips of leveled buildings and vehicles aflame accompanied with black-and-white aerial shots of bombs annihilating targets with chilling precision. A deft move by ISIS now, switching from the abstract to the personal: bloodied bodies eviscerated along dirtside roads, and a solitary child on a hospital bed horrifically burnt, his face caked and scarred with the charcoal debris of explosions past. In the center of the screen, an infant on an operating table, a victim of the offensive, is receiving oxygen. Her cries are barely audible against other elements of the soundtrack, but slowly, the shot widens and her squeal amplifies, until both the visual and acoustic experience are overflowing with tragedy. Like a compelling Hollywood thriller, the contrived moral arc demands emotional resolution, one ISIS will inflict upon us in a most un-Hollywood way. Act III, the barbaric climax, begins serenely, with Moaz al-Kassasbeh walking calmly along what appears to be an abandoned construction site, a tractor and bits of metallic debris in the background. The filmmakers appear to have illuminated this shot artificially, overlaying the vignette with a white, translucent coating giving it a dreamy and otherworldly texture. Is this heavenly hue an allusion to ISIS’s self-appointed authority in matters divine? Or perhaps the white light that prefigures the pilot’s passage into the afterlife? Moaz’s saunter continues, an earnest and inquisitive air about him, like a tourist in an unfamiliar land. Suddenly, in his line of sight, appear a row of masked soldiers menacing in their uniformity. They are cloaked in camouflage army gear from head to toe, their machine guns pointed downwards at an angle. Were al-Kassasbeh a North Korean dictator the scene would ironically be less jarring: the Dear Leader in casual clothing ensconced by his subservient and terrifying army. But the foreboding soundtrack – a coarse and haunting windy ruffle – makes it clear that the subject does not find himself in that category. The perspective switches and Moaz is now standing behind these soldiers, facing what appears to be a tribunal of masked men perched on or about the remnants of a damaged building. Lest there be any confusion as to the charges against him, flashbacks of past evils emerge. Sirens, chaos, and wounded and decapitated bodies under rubble, followed by an unconscious bearded man – an Islamic brother – coated in soot, his face ashen and bloodstained. These are the anonymous casualties of military cruelty assert ISIS. Switch to a close-up of al-Kassasbeh’s face, fear etched around the corners of his mouth, a feeling amplified by a zoom-in of one of his masked captors, weapon clutched, resolved and inscrutable. ISIS lets this shot hang for about 30 seconds, Moaz’s growing alarm gleefully juxtaposed with the impenetrability of his abductors. Fade-in to a still image of al-Kassabeh inside a metal cage, head down, his orange prisoner’s suit doused in what we will soon learn is gasoline. Several masked men now appear onsite to witness the reckoning. Cut to one of these soldiers, torch in hand, waiting to ignite his instrument of death. It begins, a rhythmic and baritone Arabic hymn, as the torch is lit. The executioner walks a few steps, pauses for effect, and places the torch on a clump of flammable coating leading to the cage. Slowly, the flames advance towards their prey as the haunting hymn amplifies. The trail of fire makes its way into the cage and within seconds Moaz is engulfed in flames, flailing his arms about in panic as his prisoner’s suit becomes a ball of fire. The inferno expands with sickening effect, until all that remains is a silhouetted body imprisoned within a raging fireball. Howls of pain and anguish can be heard beneath the hypnotic soundtrack, which lends an eerie quality to the visual that will make most viewers physically nauseous: a fellow member of the human species and his bodily flesh being seared with incandescent cruelty. His body aflame, Moaz spins around in agony, the unimaginable pain having sent him into a chaotic tailspin. He covers his face with his burning hands and collapses to his knees, hunched over as if bowing before the gods. He remains in this position and simply invites death by a thousand burns. The fire blazes with power and fury, and we try not to let our minds wander to the unfathomable: what it must have felt like; what if that was us or a loved one? 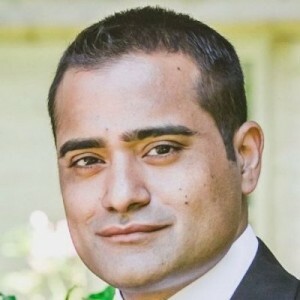 The final moments of Moaz’s life are shown in repugnant detail, a close up of his face wedged between two iron bars, his boiling black skin peeling from the raging fire. Dark liquid drips from his face. It could be blood or, more grossly, melting flesh from the inferno. We sincerely wish that Moaz were dead at this point, his agony complete, but a sudden twitch suggests otherwise. The flames continue to prey upon Moaz’s body until he collapses backwards in surrender. Slowly, the fire extinguishes itself, having siphoned all the fuel it can from the flesh of his carcass. Like a charred log nearing the end of its life, the remaining fragments of meat smoke and simmer, the sickening residue of one man’s ghastly demise. On this occasion, the Islamic State announces a reward of 100 gold dinars to whoever kills a crusader pilot. The Diwan for state security has released a list containing the names of Jordianian pilots participating in the campaign. So good tidings to whomever supports his religion and achieves a kill that will liberate him from hellfire. “The reckoning is complete; other reckonings will follow”. 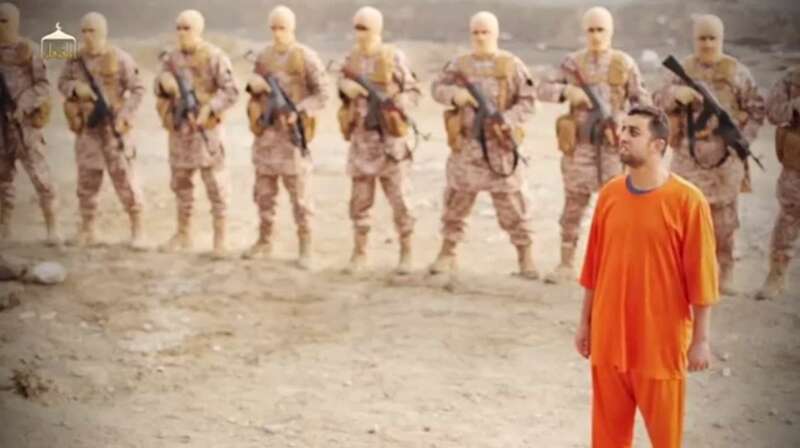 Moaz al-Kassasbeh, a Jordian fighter pilot, moments before his execution by the Islamic State. Screen grab from the ISIS video. How does one recoil from the monstrosities of the preceding section to a detached and sensitive plane of analysis? Is this possible, or even desirable? Because behind this demonic act lies the ethos of ISIS and the mindset that unleashed its theology in the French capital with chilling precision. The thugs and crazies who thought nothing of immolating a man in a cage and filming it for public consumption. Revisiting the vivid prose of al-Kassabeh’s execution crystalized what I found so jarring about the cautious counternarratives following the Paris killings: a glaring discrepancy in resolve and urgency. The sadistic transgressions of the Islamic State (with a promise of more to come), versus equivocal and measured calls to reframe the dialog around those transgressions. Not unlike egalitarian Op-ed pieces from 1945 that, in response to Pearl Harbor, obliged their readers to examine America’s role in starving Japan of oil for years before – a valid point on its own terms, but exasperating in its attempts to deflect and tangent around the horror of the moment. Perhaps I’m overstating, still drunk with rage from the sickening visuals of Moaz’s charred corpse. But the rhetorical asymmetry feels real and often counterproductive: ISIS, evil personified with its contemptuous grins of malevolence, versus the tranquilizing drug of our restraint. Reflecting on the disparity, I thought back to one of my graduate school classes and a framework that helped me in another context. The hyperbolic genre attempts to revive “a much neglected vocabulary of values rooted in belief and tradition and uses the zeal exaggeration because it must assert its idealistic claims against the grain of the prevailing skepticisms of irony” (Webb, 58). In the ironic undertaking, “all values and beliefs are suspended, neither affirmed nor negated, in a self-parody that hovers between the comical and cynical. Irony is the trick of saying one thing while meaning another, and is an effective figure of speech for those who are not sure what they believe but firmly doubt the beliefs of others.” (Webb, 58). These are polarities asserts Webb, bookends on the rhetorical scale. In colloquial terms, it means that whereas the hyperbolic says too much, the ironic says too little. Two examples illustrate the point. Logical fallacy and overstatement abounds. Which governments, precisely, are so willing to sacrifice innocent citizens to fanatical Islam? Does the author truly believe that the problem is one of nomenclature? I.e., that calling radical Muslims radical Muslims will somehow deter their extremism or more effectively prosecute it? And finally, one can only laugh at the claim that making ISIS ‘aware’ that it would be suicidal to kill Westerners would discourage killing Westerners given that suicide is so often their very instrument of slaughter. Per this example, hyperbolic rhetoric is peppered with deception and manipulation, insincerely amplifying its truth claims to stir its uninformed or apathetic audience. It says a lot, but says too much. About the number of Muslims that harbor extremist viewpoints; the percentage of American Mosques that promote violence; the proportion of terrorist acts motivated by Islamic fanaticism (less than 2 percent). The sins of the hyperbolic are thus ones of disingenuous excess but whose impulse can only be understood in reference to its counterpoint: irony. By irony, Webb does not mean ironical in the classic sense; i.e., the satirical, sardonic technique whereby what is stated is the opposite of what is meant. He is instead employing the secondary definition, which is “the refusal to arrive at final judgments, an abdication of responsibility”, placing us in the precarious position of “not allowing us to decide anything at all, paralyzing us in a pyrotechnics of unpredictable prose, snaring us in webs of our own making”. Again, an example will elucidate. Imagine if the West could respond to these terror attacks with increased and more effective efforts both at home and abroad, but also with the determination to demonstrate that it would act, but not overreact. That it would reaffirm its basic values and it would strive to restore normalcy in the face of brutality. To do this would be to understand that terrorism is unique and that it depends for its effectiveness on the response of the onlooker. If we are not terrorized, then it doesn’t really work. At first glance, Zakaria’s sentiments appear temperate and unobjectionable; maturity and moderation exemplified. Unpack them, however, and you’ll see the hallmark of irony: shiny prose flawed only by the logic that holds it together, significant for what it does not say nor address. How precisely do we act but not overreact when hundreds of civilians are butchered with indiscriminate glee? What level of restraint would affirm our basic values and restore ‘normalcy’? Limited military intervention? Restricted policing? Gandhian non-violence? And how should a free people resist being terrorized in the face of savage brutality? What’s the calculus, the recipe, the ‘response of the onlooker’ that would short-circuit the Islamic State? To these questions and others, Zakaria does not elaborate, because behind his platitudes and proclamations lie the hard questions that disqualify them. Not surprisingly, the ironic form is intrinsic to the political sphere and the polished art of saying something but really nothing, eschewing controversy at all costs and shying away from hard truths. And in the context of ISIS, this tendency is more prevalent on the ‘left’ where the ethos of Political Correctness recoils from the moral excesses of the ‘right’. To wit: the aforementioned claim from the National Review that “the slaughter might cease in a few years if we were to name our enemies as radical Muslims”; the Democratic debate the day after the tragedy where, when pressed, each participant refused to employ the term ‘radical Islam’ to describe the ideology that motivated the killers. Two flawed positions in circular stalemate. The left, loathing the right’s exaggerations with regards to Islam, refuse to recognize the obvious: that while fanatics represent a twisted version of their faith, it is impossible to understand them without reference to the beliefs they invoke. The right, exasperated with such sophistry, amplify their arguments to the point of ridicule and offense. Rhetorical opposites, locked in stubborn stasis. Watching a 22 minute ISIS horror show (numerous times) is a decision that still puzzles me. Shortly after its release, the internet was flooded with reports and still-shots of the video, but I felt a twisted moral responsibility to experience the demonic up close. Perhaps because I sensed I couldn’t add anything meaningful to the debate until I did. As al-Kassasbeh’s murder and the events in Paris make clear, ISIS confront us with the moral dilemma of how to respond to the satanic whilst retaining our humanity. In a world of frantic complexity, they represent the un-nuanced moral negative, the diabolical extreme outside the boundaries of normal discourse. Like their Nazis predecessors, their presence on the planet is defined primarily by their willingness to obliterate it and, joined with weapons of mass destruction, their apocalyptic theology would surely realize the doomsday nightmares of science fiction lore. Watching the final moments of the film, I know only that addressing the ‘ISIS problem’ will necessarily be messy and imperfect. Democratic structures will be stress tested, as will our own sensibilities. Platitudes and ‘warm fuzzies’ – “we will never change the world we live in if we do not change ourselves” according to Madonna – are uplifting utterances but poor history, ignorant of the brutal realities in places like Myanmar, North Korea and the Congo, where populist sentimentality is crushed with coldblooded force. In order to reconcile the hyperbolic and the ironic, exclaims Webb, we need “to learn how to speak a hyperbole that does justice to the passions of everyday religion, the qualifications and hesitations of irony, and the impulse toward objectivity implicit in pluralism.” I think this is a fancy way of saying that we must confront hard truths with thoughtful reflection and honest rhetoric. More than ever, we are in need of responsible dialog around how we maintain and protect our humanity from those who seek to destroy it. We should open our hearts to Syrian refugees, but legitimate security questions must be confronted. ISIS is not Islam, but cannot be divorced from archaic edicts in the Quran, which influence not just extremists, but entire populaces and nation states (a dangerous fusion that was, lest we forget, the hallmark of Christianity). Radical Islam is a valid term to describe this ideology, but the pause around the label is understandable, so long as bigots who don’t make distinctions attack innocent Muslims in Toronto and Texas. But, but, but. There is almost always, a ‘but’. Son, we live in a world that has walls, and those walls have to be guarded by men with guns. Who’s gonna do it? You?…I have neither the time nor the inclination to explain myself to a man who rises and sleeps under the blanket of the very freedom that I provide, and then questions the manner in which I provide it. I would rather you just said thank you, and went on your way, Otherwise, I suggest you pick up a weapon, and stand a post. Either way, I don’t give a damn what you think you are entitled to! Confronted with ISIS’s savage cruelty, who amongst us would argue that men with guns should not constitute a significant part of the response? But to the hyperbolist’s claim that such walls be maintained at any cost, the ironist would reply the opposite: that no cost is too great for our freedom to dismantle them. The real lesson of the movie, and indeed of history itself, is that in a free society both impulses must exist in delicate tension: Nicholson’s license to erect grisly fences in circumstances far from ideal; Cruise’s latitude to critique the legitimacy of their construction. The necessary and the noble, locked in frustrating but fruitful stasis. So embrace complexity and seek rhetoric that is authentic. With regard to Paris, Mali, Kenya and Beirut. With regard to monstrosities of ISIS, and moral dilemmas they provoke. With regard to how we maintain our humanity amongst those who would destroy it. As responsible citizens, it is one of the best ways we can honor the Moazs we’ve lost today, and the ones we’ll lose tomorrow. Webb, Stephen H. “A Hyperbolic Imagination: Theology and The Rhetoric of Excess.” Theology Today (April 1993, Vol 50, No 1): 56-67. Sheldon Fernandez’s previous works for F&O include The Great Riddle: fostering creativity and tenacity; My Last Day in Kenya; One day at Wembley: a soccer fanatic reflects.